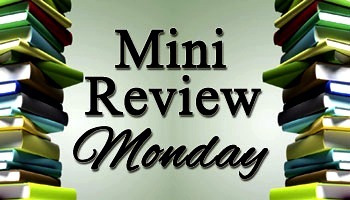 It’s time for another edition of Frodo’s Hobbit Sized Reviews on Mini Review Monday! Short and sweet just like 2nd breakfast! The Cutting Room Floor first and foremost is addicting. With the distractions of Twitter, video games, more Twitter, sports, and Twitter, I often find myself pausing every so often when I’m reading a book, rarely do I devour it in one go. This was an exception to that, but honestly I’m not sure exactly why. My first guess is that it has to do with the pacing of the book, that the sheer amount of action kept me going. The devious plotting, revenge, the insane amount of relationships that will make your head spin, and the transformation of the main characters many times over keep the book moving rapidly. The Cutting Room Floor is never dull, but all that action does mean some arcs are underdeveloped, and others aren’t even explored. The characters tend to do a 180 whenever Klehr needed them to, not necessarily when it fits the person they seem to be or even the way the plot was going. It’s a bit disconcerting, but I got caught up in the whirlwind of it nonetheless. I can’t say that there is a love triangle, or anything really close to it in this book, because it feels more like a love scatter plot with no correlation. Sure there is the main “romance” arc between Dez and Riley, but there seem to be a bunch of other ones that come and go randomly. There is no logic to the progression, if it can even be called that, and the reader finds out about random flings for no apparent reason at times when it has little to no impact on the main storyline. Ugh. The characters themselves are compelling, and the dual point of view works in this case because Klehr manages to keep the voices of Dez and Riley very separate and unique. Dez is cunning, devoted to Riley and his filmmaking, and incredibly focused on getting what he wants. He is willing to do whatever he deems necessary to win Riley over, regardless of if it is dirty or reckless, and can often be cold to others if they aren’t helping him at the moment. Riley, however, is warm, sweet, and quick to love. She’s unsure of herself, and while she does some questionable things it is because she wants to do good, not out of any malicious feelings. She just wants to figure out who she is and what the best way is for her to be happy. The bouncing between regular writing and script style can be a little jarring, but it’s not too terribly hard to get used to. High school students that participate in theater or acting of any kind will likely enjoy the many acting scenes and discussions on the craft, as well as the scenes done in script format. I feel like The Cutting Room Floor might have been better as a duology or trilogy, that way the arcs could have been more developed, the characters better understood, and the pacing slowed down a bit so the readers don’t get whiplash. It’s a good book, but it could have been a lot more. Thanks as always for reading. The Sunday Post is a weekly meme hosted by the amazing Kimba the Caffeinated Book Reviewer. It is a chance to share news, recap the past week on your blog, showcase books and things we have received and share news about what is coming up on our blog for the week ahead. I love participating in Sunday Post because I can provide a recap of books I read, talk about what is coming up next week, and discuss any books I received in the past week! 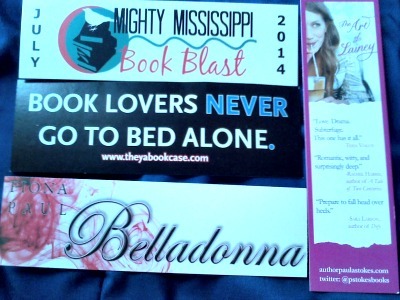 This week I am covering the awesome books I bought when I attended the Minnesota stop of the Mighty Mississippi Book Blast YA Tour! This week was a return to blogging in full force, both here and on my other two blogs that I’m working on. The best part was that it was simply for the love of doing it, and that made it incredibly fun and fulfilling. Being a content creator, even when it is just reviewing other people’s content, has to be a labor of love for me to do it, so times like this are awesome. I read quite a bit this week too! I finished the Secrets of the Eternal Rose trilogy, read The Murder Complex, breezed through a few novellas that were sitting on my Kindle app, and finished it off with The Cutting Room Floor by Dawn Klehr! 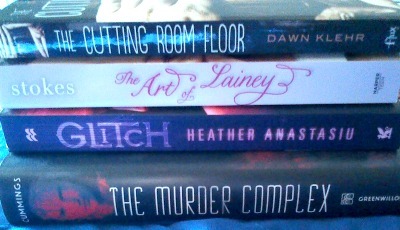 Having a great bookish week always makes everything better, and this was no exception. I don’t know what I’ll be posting this coming week, but if the mood continues I’ll likely have at least a fair few for you all. I hope you enjoy! Thanks for stopping by, I hope you had a great bookish week as well, and thanks for reading. Enjoy your Sunday!